Napoleon 101 Podcast Turns 50! The Napoleon 101 Podcast, hosted by J. David Markham and Cameron Reilly, has turned 50–episodes, that is. For over three years Markham and Reilly have brought the fascinating story of Napoleon to over 30,000 listeners throughout the world, and they recently released their 50th episode. Each show runs over an hour, so that’s a lot of Napoleon! The first 46 episodes presented a chronological discussion of Napoleon’s life. The past three episodes have featured guest scholars John G. Gallaher, Michael Kroger, Rafe Blaufarb and Alexander Mikaberidze. More scholars will be on future shows, and some future shows will discuss issues and personalities in greater depth. The Napoleon 101 Podcast has received outstanding reviews and is currently rated 4.5/5 stars on iTunes. The conversational style of Markham and Reilly is unique to history podcasts and has broken new ground for the use of podcasts to educate people. If you have not heard it yet, you are in for a real treat. Seventh INS International Congress in Montreal.Read the information below, and then click image for registration forms and other information on the INS website. The International Napoleonic Society will hold its seventh International Napoleonic Congress in the beautiful and historic city of Montréal, Canada. Our host will be the Montreal Museum of Fine Arts, one of the finest of its kind. The museum has just dedicated a permanent exhibition of INS founder Ben Weider's outstanding Napoleonic collection, and we will be given an exclusive tour of that collection as part of our activities for the week. Montréal is one of North America's most historic cities. Founded in 1642 by French settlers, Montréal eventually became a walled city and is today a major world city that still remembers and preserves its cultural heritage. Congress participants will be given ample time to explore the city, including its beautiful waterfront parks. As always, there will be no registration fee for participants. As this is our first Congress in North America, we encourage scholars from Canada, Mexico and the United States to take full advantage of this very special opportunity. Further information, including hotel information and a formal call for papers will be distributed in the near future. We encourage scholars to submit paper proposals that reflect the theme of the Congress or are the result of important new research. Because of our special relation with the Montréal Museum of Fine Arts, we especially encourage presentations on Napoleon and the arts. The official languages of the Congress will be English and French. Previous International Napoleonic Congresses have been held in Italy, Israel, Georgia, Poland and France. They have attracted scholars and students from around the world. We encourage all people interested in this era to attend this Congress, whether or not they wish to give a paper. 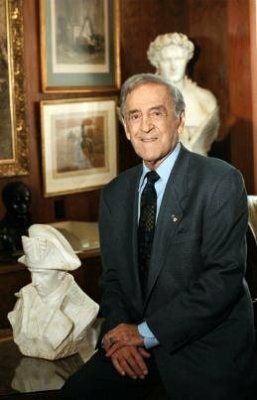 Ben Weider was my friend, mentor and supporter, as well as a major historian and benefactor in the field of Napoleonic history. He died on October 17, 2008, at the age of eighty-five. His passing leaves both a personal and professional void that can never be filled. When Ben created The International Napoleonic Society he honored me by asking me to serve as Executive Vice-President and Editor-in-Chief. Little did I know the journey upon which I was about to embark. Ben was full of ideas and dreams for the INS and was always anxious to hear the thoughts of others as well. He was the most energetic, hardworking person I have ever known. He'd even give Napoleon a run for his money! With his guidance and generous support, the INS became a major force in the promotion of good, scholarly Napoleonic research. Our International Congress, publications, scholarships and endowments, awards and web site have all been designed for one purpose, to promote the truth about Napoleon and his time through solid academic research untainted by traditional misconceptions. It is a legacy that to most of us will be how we most honor Ben’s memory. Ben was a force of nature, a man dedicated to a cause and willing to support the cause with all the energy and resources required. Over the least 13 years or so we became good friends, dedicated to our work and full of mutual friendship, respect and admiration. Recently we were collaborating on a book and discussing plans for the next Congress. As always, he was supportive in every possible way. Ben gave me many opportunities and his support has been a major factor in my own success. I will miss our work together, of course. But what I will miss the most is the friendship, the friendly E-mails, our few times together, our numerous phone calls. He always had a great sense of humor. He showed genuine interest in how my health and private life was going. He was a caring, dynamic, exciting man of the world. Ben wanted the work of the INS to go forward and made generous arrangements for its future. He always told me he hoped I would take over as president someday. That day has come all too soon, but I am dedicated to do all I can to see that the Society continues to do its excellent work. Rest in peace, my friend! Sixth International Napoleonic Congress a Great Success. Click on the image to read about our congress in Corsica and Elba (on the INS website, click on 'Congresses'). My friends Michel Franceschi and the late Ben Weider have written an important new book that corrects the record on much of Napoleonic history. Click on the image to buy it on Amazon.com. Michel Franceschi & Ben Weider. The Wars Against Napoleon: Debunking the Myth of the Napoleonic Wars. Published by Savas Beatie, distributed by Casemate, Jan. 2008.
c. 248p. illus. maps. index. ISBN 978-1932714-37-1. $32.95. According to these authors, it is a myth of the Napoleonic wars that Napoléon was a megalomaniacal conqueror who bled Europe dry in order to satisfy his insatiable love for war. 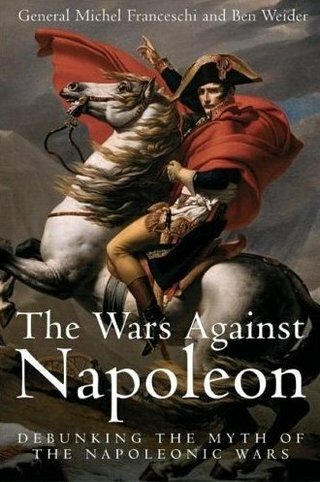 Certainly, such is the most widely printed and accepted description of Napoleon's motive. After all, history is written by the victors. In this book, however, retired French general Franceschi and Weider (coauthor with Sten Forshufvud, Assassination at St. Helena Revisited) present a compelling revisionist portrait of Napoléon as fundamentally pacifist. 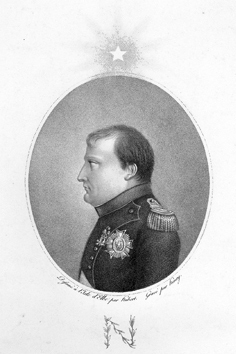 They base this on three sound themes: first, that the European monarchies were thoroughly opposed to the continuance of revolutionary France; second, that Napoléon made constant determined efforts to avoid the inevitable conflicts; and third, that Napoléon never declared war, as he himself stated in exile on St. Helena. In each of these areas the authors argue strongly, persuasively, and intellectually for what is, essentially, the other side of the usual story. They will surely provoke debate within the historical community wherever there is interest in this period. Recommended for all libraries adding to their Napoleonic collections. Napoleonic Historical Society.We held our 2006 annual conference in Seattle, our 2007 conference in Chicago, and our 2008 conference in Philadelphia. Our 2009 conference will be in New Orleans, 24-27 September. For further information, please click on the logo to visit our website. Napoleon for Dummies is now published in Russian! This is really exciting for me. You can see the cover and a nice comment on the 'My Works' page. The conference in Israel was a great success! Please go to the INS website to read the report and see the photos! The Consortium on the Revolutionary Era will hold its 2009 meeting in Savannah, Georgia, 19-21 February. The Consortium brings together some of the world's top scholars who specialize in that era of history and is not to be missed. I have been an active member since 1994. For further information, please click on the link below. 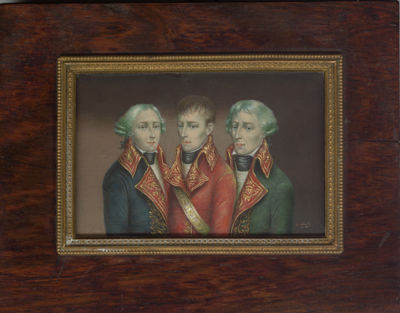 Click on this rare miniature of Napoleon and the other two Consuls to go to the Consortium on the Revolutionary Era home page. Napoleon 101 (http://napoleon.thepodcastnetwork.com/) Join Cameron Reilly and me as we explore Napoleon’s life, his accomplishments and his legacy. Each episode runs a bit over an hour. We’ll be doing one each month or so far into the future. On Thursday, 21 December, 2006, I gave an illustrated lecture at the Dahesh Museum to compliment their exhibition on Napoleon's campaign in Egypt and the Holy land. Fifty people turned out to hear my hour talk, which I illustrated with 57 PowerPoint slides. I'm told that my talk was well-received, and I was certainly grateful for such a nice turnout just a few days before Christmas. My thanks to the Dahesh for giving me the opportunity. 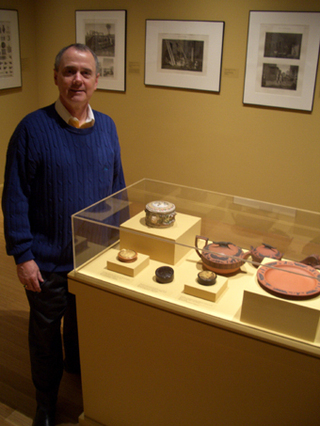 David and his four boxes in the Dahesh exhibition. Click here to go to the Dahesh Museum of Art Webpage. The Dahesh Museum of Art on Manhattan had a super exhibition entitled Napoleon on the Nile: Soldiers, Artists, and the Rediscovery of Egypt, from June through December, 2006. I was honored to contribute four snuffboxes to the exhibition. The exhibit mainly featured an amazing assortment of engravings that showed scenes of the campaign. 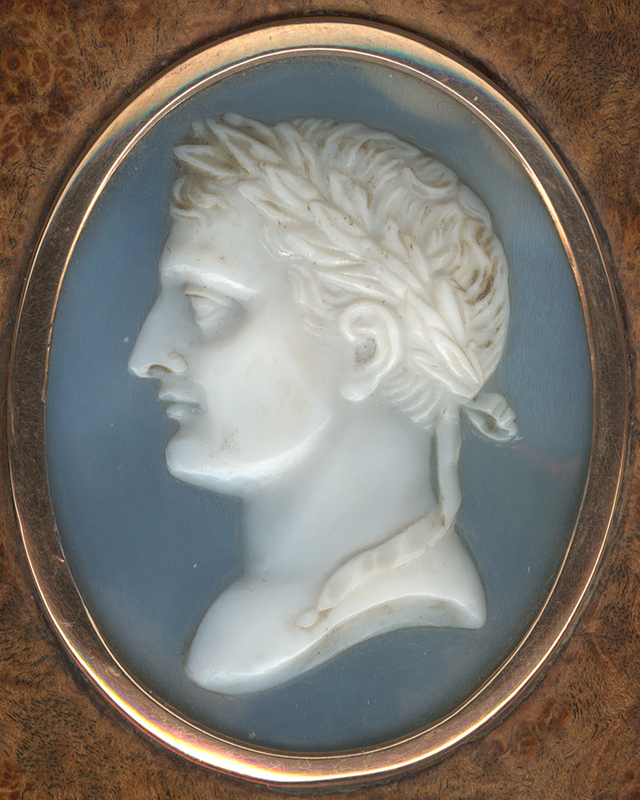 Of special note were the large number of engravings from the Description of Egypt volumes that were produced by the artists Napoleon took with him. It was an honor to have the opportunity to make my small contribution to this great exhibit. If you've never been to the Dahesh, you must pay them a visit. It is a real gem of a museum! The Friends of the Fort Lewis Museum was addressed on Sunday, 28 January, 2007 by Le Général Comte de Rochambeau, Commander of the French expeditionary Force sent to assist the American Revolutionaries in 1780. 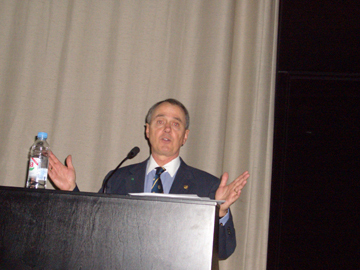 Napoleonic Historical Society Executive Vice-President John Welsh has studied Rochambeau's life and experiences in America and has portrayed the General in numerous official commemorative events. His uniform is an exact copy down to the smallest detail, and includes several period parts. His presentation receives rave reviews wherever he goes. For further information on the Fort Lewis Military Museum, please click on the photo.